Strict secrecy, legal threats, and suicide are detailed in an in-depth Vanity Fair story. An in-depth story in Vanity Fair details the unraveling of troubled blood-testing company Theranos, describing the company's attempts to enforce secrecy and the Silicon Valley culture that allowed it to get off the ground. 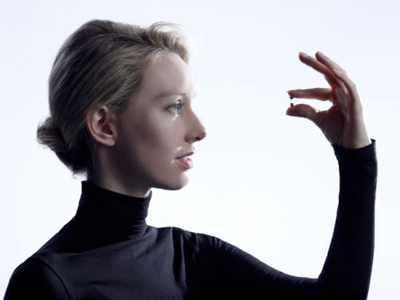 The article chronicles how founder Elizabeth Holmes shopped her idea of performing multiple tests from a single finger-prick of blood to experts and the media, and attracted millions from investors without revealing how, or whether, the technology worked. It also skewers the white-male-laden culture of gambling and greed that has fueled many a tech startup. When doubts began swirling publicly about the accuracy of Theranos' proprietary Edison technology, spurred largely by reports in the Wall Street Journal, employees were forbidden from speaking about them. After Holmes reportedly addressed them two days later, employees professed loyalty by chanting an epithet aimed at reporter John Carreyrou, says the story, which cited numerous insiders as sources. One employee in particular, chief scientist Ian Gibbons, was so conflicted about the possibilities of harming other employees should he reveal the technology's inadequacies and the potential danger to the public if he didn't, that he died by suicide, the article says. Instead of a condolence call from Holmes, Gibbons' widow received a call from Theranos demanding that she "immediately return any and all confidential Theranos property," it adds. The company declined to comment about the Vanity Fair piece. Learn how to meet tough regulatory requirements and design devices hospitals will actually buy in this special conference track at MD&M Minneapolis on September 21. Qmed readers get 20% off with promo code Qmed16. Aspiring Theranos employees would not learn their job descriptions until after they were hired, the article says. Employees were also forbidden from talking with others in the company about their work, and were threatened with legal action should they discuss it publicly. Company lawyers also threatened Gibbons' widow for speaking publicly about Theranos, the story says. Holmes believed the Journal would publish one story and leave it be, but Carreyrou carried on, breaking story after story as government regulators and investigators began demanding answers. Carreyrou also reported that Walgreens had agreed in 2013 to invest about $50 million and open Theranos blood-testing facilities in 40 of its Arizona drugstores, despite never having been allowed inside a Theranos lab. Walgreens kicked Theranos out of those stores in June. A Center for Medicare and Medicaid Services report in January described hematology testing practices at Theranos' Newark, CA, lab as "deficient," saying they posed "immediate jeopardy to patient health and safety." Two months after that, a study in the Journal of Clinical Investigation found that Theranos's blood tests were unable match the accuracy of more conventional tests. Another Wall Street Journal article claims the company knew its technology had problems, but still used it on patients. CMS has since disclosed that the company failed 87% of its quality-control tests for one hormone test. After giving Theranos a chance to correct deficiencies, CMS imposed heavy sanctions on the company, including banning Holmes from the industry for two years. Theranos closed the Newark lab until further notice, kept its Palo Alto lab open, and recently announced that it would appeal. Theranos has been trying to right the ship, bringing some medtech and regulatory heavyweights on board, and establishing a compliance and quality committee in July. Last month, Holmes addressed a conference of laboratory scientists about a new Theranos technology, but did not speak about Edison or the company's woes. Those woes are many. Theranos is facing federal class-action lawsuits from patients, and the company is reportedly under investigation by the U.S. Justice Department, the SEC, and the FBI.